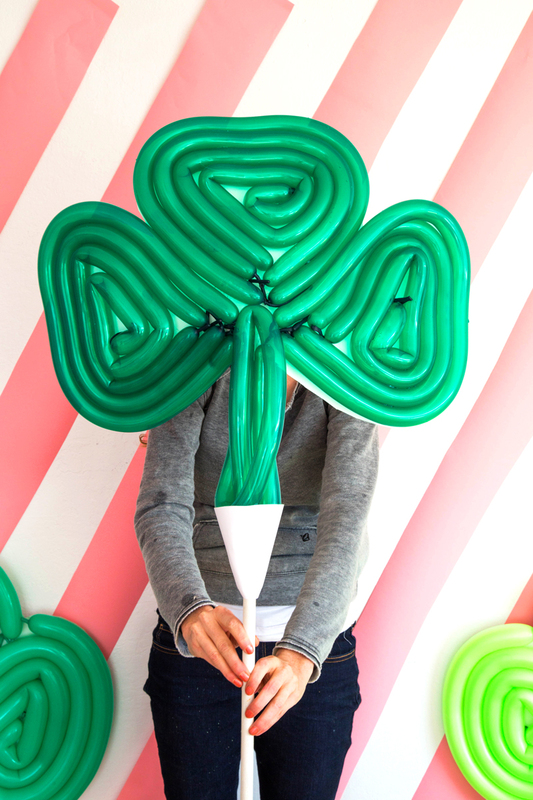 Inside: The cutest Shamrock balloons for your St. Patricks Day Shamrock party! These Shamrock party balloons are just my luck! 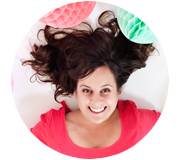 Making balloons to go with our favorite holidays is a favorite pastime around here… from hearts to bunnies to firework balloons anytime we can combine a love for a holiday with the festive fun of a balloon I’m on board. Especially when it comes to celebrating with the kids. I’ve taken to bringing balloons to their classes for most school parties. Now, I’m not saying I’m the favorite mom in school… but I’m also not saying that isn’t true. ;) When it comes down to it, kids just love balloons (and cake! ), but balloons have the benefit of being sugar-free. Like the rest of the internet, I’ve been gushing over Jordan’s amazing balloon walls this year and decided we’ve love to get a funky look like that in moveable form. Something we could cart along to school and surprise the kids with. I grabbed some cardboard and partnered with Elmer’s Glue to make it happen. 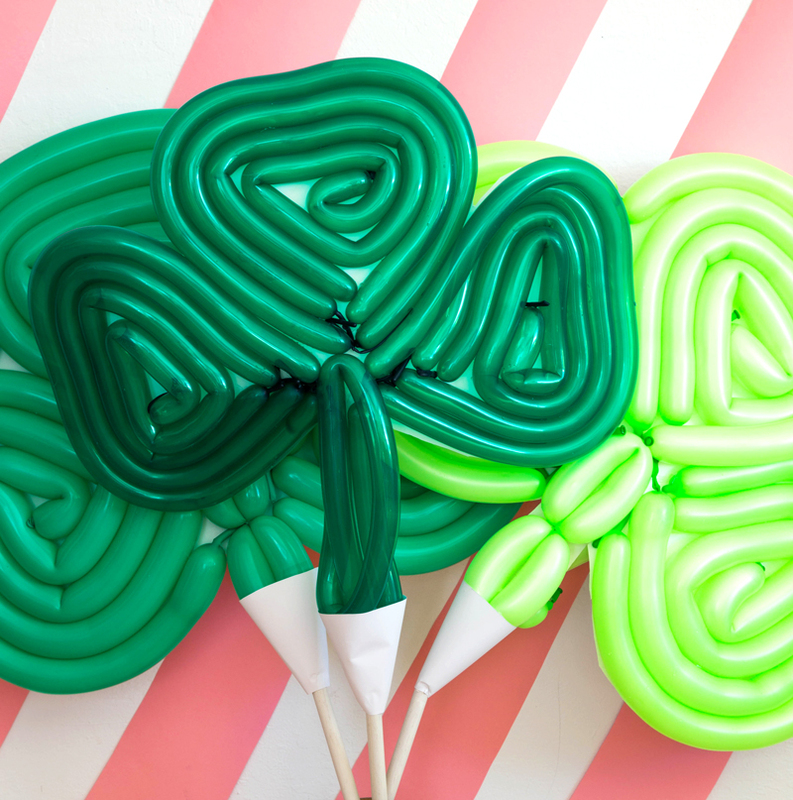 These Shamrock party balloons are an incredibly bright dose of fun for St. Patrick’s day! 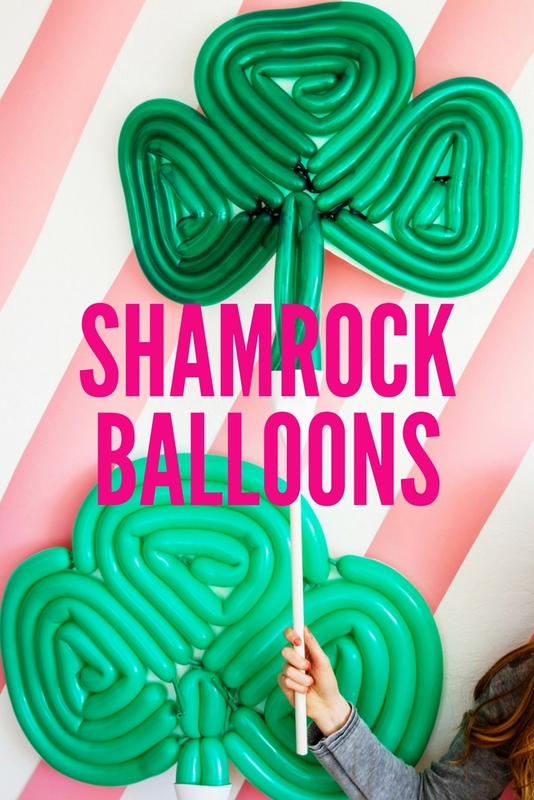 The shamrock party balloons aren’t floating which makes them easy to carry and has the added benefit that none of them will fly out of a little kiddo’s hand. To make sure they are portable we have created our own balloon holders with a piece of paper cut into cone form and a dowel. This will allow the balloons to be carried individually (or in bunches) wherever you plan to spread the lucky fun on St. Patties day. 1. Start by blowing up all the balloons. Cut out a shamrock shape from the foam core poster board. 2. Glue the balloons into place. 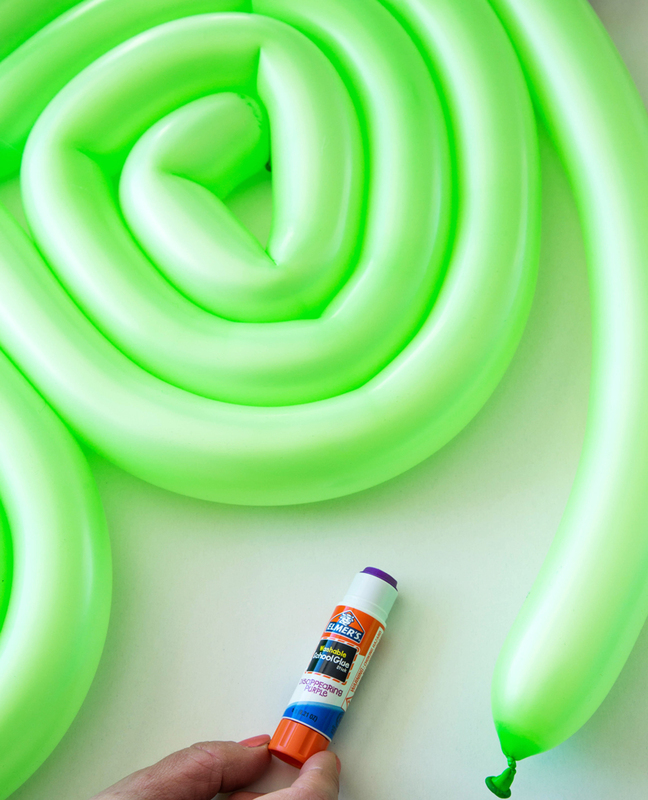 Start from the center of each Shamrock balloons and work outwards as you glue. Using Elmer’s purple disappearing glue is great for this project since you can see where the glue line is to lay the balloons down in the right spot. 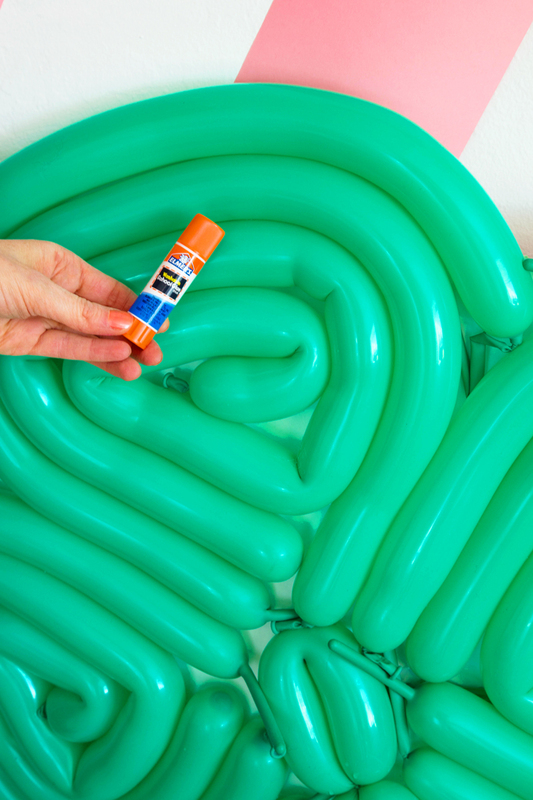 Now that all your balloons are attached, this version of Elmer’s glue dries completely clear – so you don’t have any unseemly glue lines showing through the balloons. 3. 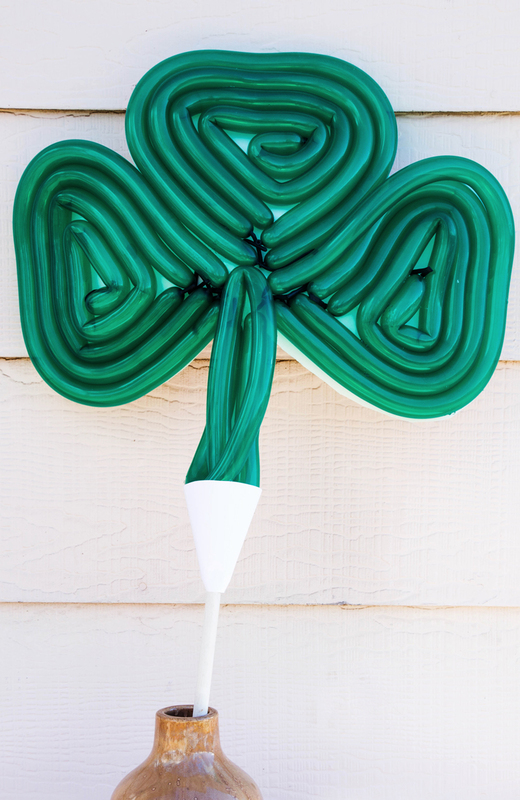 Once all the Shamrock balloons are attached, now create the wooden dowels to hold the balloons. 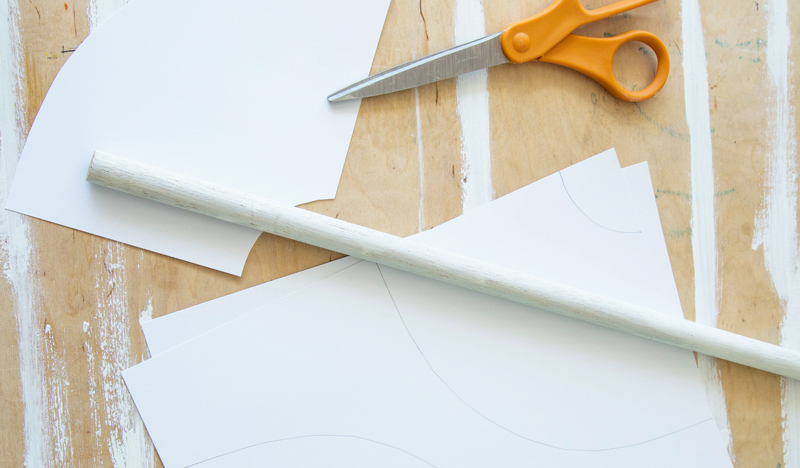 Cut the cone shape from the paper and use the glue to hold the paper into place. Then we used hot glue to attach the wooden dowel to the paper since it was such a heavy material. A bouquet of shamrock balloons that gives you all the luck of being the most popular mom at school come March 17th. 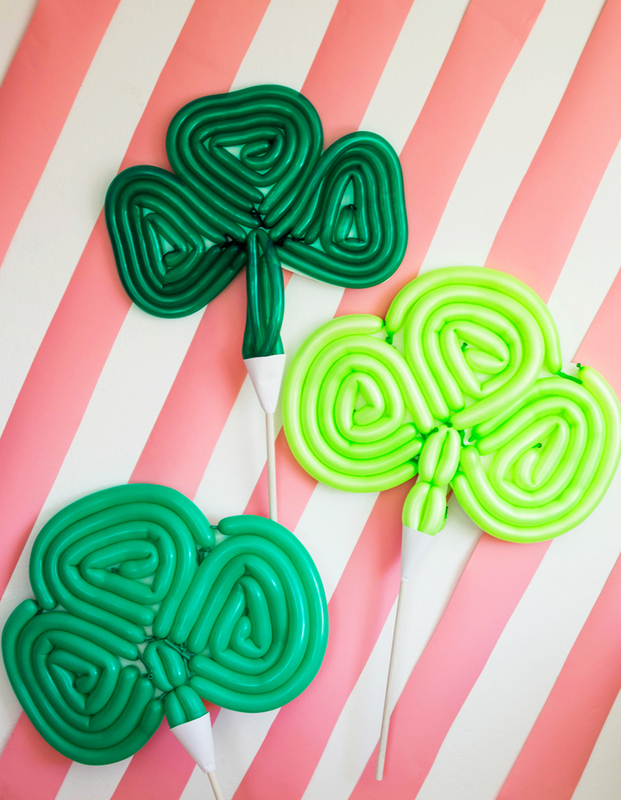 Use the balloons as a jumping off point and throw an entire Shamrock party by combining these balloons with this Shamrock garland & these Shamrock paper fans. This post was created in partnership with Elmer’s Glue, a product we use daily in our crafting & party fun!